Place the milk and vinegar in a medium bowl and set it aside so it can curdle a bit. Preheat your waffle iron. In another bowl, whisk to combine the flour, cornstarch, salt, baking powder, and baking soda. Add the melted butter, amaretto, and egg yolk to your curdled milk, and whisk until well combined. 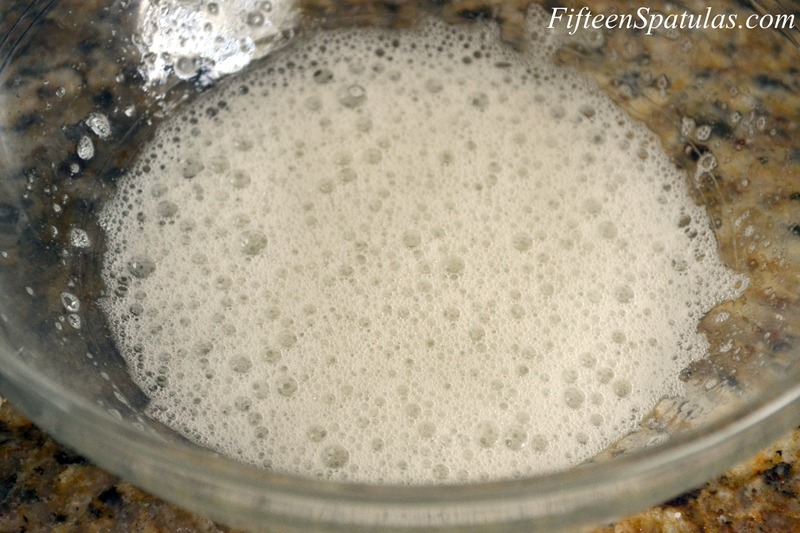 Once foamy, add the vanilla sugar and beat until you get stiff peaks. 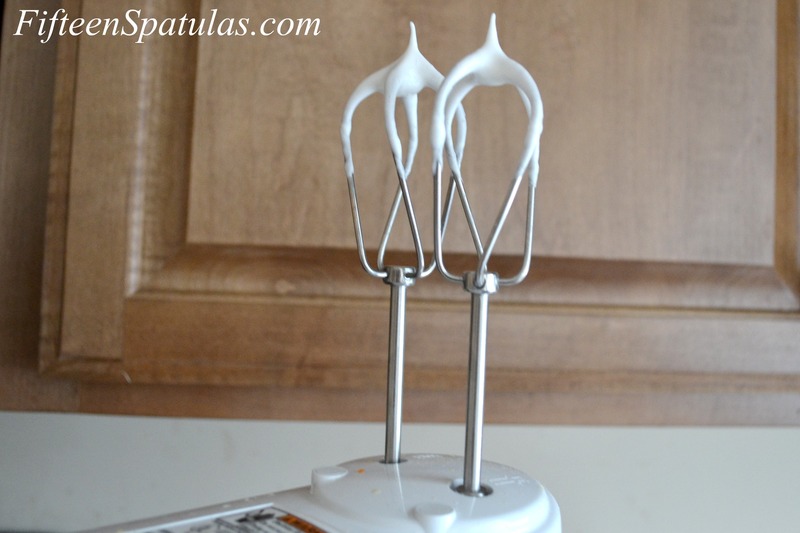 You check for stiff peaks by putting the beater heads directly into the bottom of the bowl, lifting straight up out of the bowl, and inverting the beaters, like this: Whisk the curdled milk into the dry ingredients, and make sure to leave some lumps. Next, add the stiff egg whites in plops, and gently fold them into the batter to lighten it. It’s fine to leave a few egg white clumps in there, because you don’t want to deflate them too much. Time to cook them waffles! Pour the batter into your waffle iron, and note that you will have to play around with your settings. For my particular waffle iron, cooking them on high burned them, and medium was about right for mine. I served my waffles with blueberry sauce, fresh berries, and a dusting of powdered sugar. Perfect for summer berry season. Enjoy! Makes 6-8 waffles, so probably about good for 2 people. 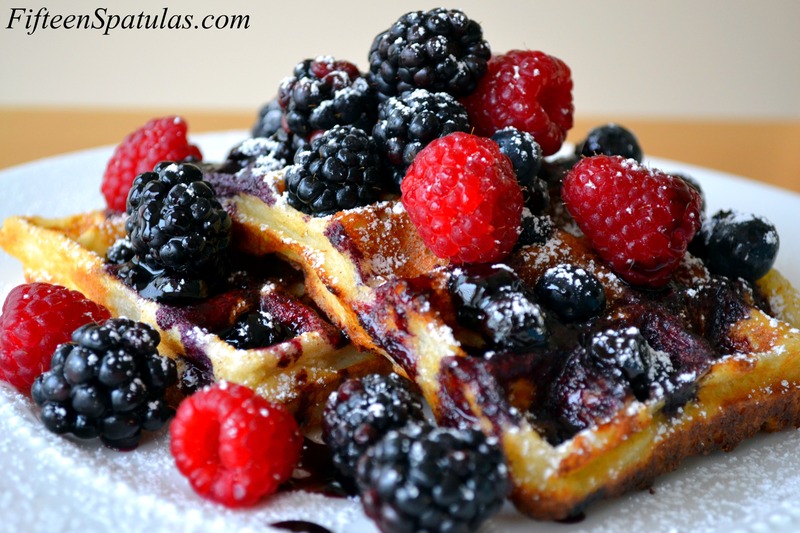 This entry was posted in Breakfast and tagged blackberries, blueberries, blueberry sauce, breakfast, crispy, light, perfect, raspberries, recipe, waffles. Bookmark the permalink. Weel thank you very much..I will pass this on to my daughter in law…she is the waffle maker of the family.